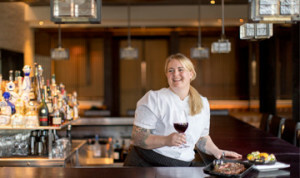 Chef Danielle Leoni and her Jamaican-born husband, Dwyane Allen, opened The Breadfruit & Rum Bar in Phoenix's Roosevelt Row in 2008, when the downtown neighborhood was sleepy rather than ascendant. 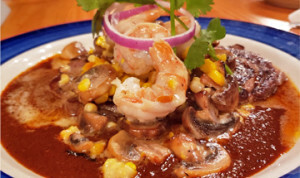 Their vision: to marry Caribbean flavors with Arizona ingredients and serve tropical cuisine to desert denizens who didn't know they craved it. The Breadfruit has since become a Roosevelt Row staple, and Leoni has appeared on the Food Network show "Chopped" and been chosen for the James Beard Foundation's Women’s Entrepreneurial Leadership Program. In this episode of "This Is the Place I Was Telling You About," Leoni takes Dwyane and their urbane winemaker friend Sam Pillsbury on a dine-around of downtown Phoenix restaurants. "The fact that we get on is a miracle," Pillsbury says at their first stop, as the trio argues over how to best consume a Peroni. But they soldier on, noshing on meatballs, sipping rare Arizona sake and agave-sweetened espresso, and displaying borderline-inappropriate pleasure while chewing the "best bite in Phoenix." They end the night by incinerating their taste buds on taco-truck peppers and warmly musing on food's power to bring friends closer. El Lorito, Phoenix - There's no website or even a Facebook page, but you can find them at 605-645 W Broadway Rd, between 6th and 7th avenues. 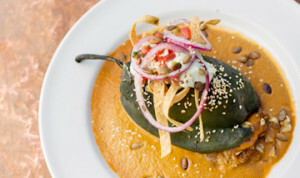 Phoenix Bites blogger Taryn Jeffries dishes on the secret menus at Arizona restaurants, giving you the scoop on where to go and what to order when you're in the mood to dine "off-book."